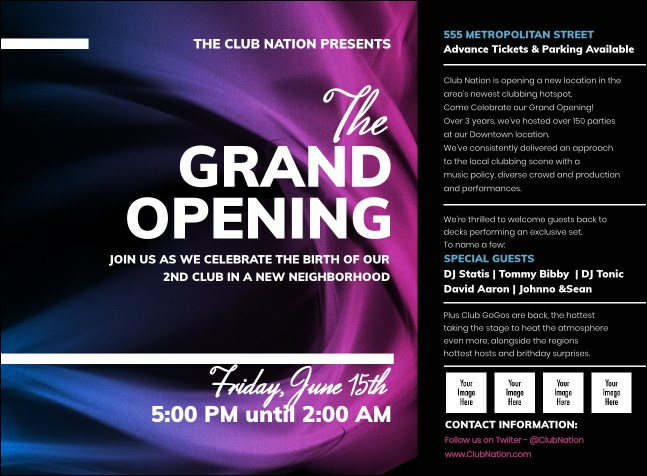 When it comes to promoting your club event, go ahead and re-iterate it when you send out individual Fractal Wave Invitations to your guest list in advance. With space to upload four of your own images on the template, you can include sponsor logos, pictures of featured DJs, or anything you else you want on the black background with a wave of vivid pink and blue. Shape your pre-event promotions at TicketPrinting.com.